I was a teenager in biology class when I first learned of parasites. Looking at meat through a microscope for the first time was the only reason I ever needed to become vegetarian. I remember that day clearly and that was it for me. I was too young to stay successfully veg, however, but I did avoid red meat until I was eventually able to learn enough to become a vegan. All mammals have parasites, but it’s good to avoid picking up more of these hitchhiking beasts, while avoiding unnecessary and potentially dangerous parasites that live in other animals, such as Trichinosis. I also could never understand why meat never had a “date of death” on the package. For example, if we went fishing together and we cleaned and froze those fish, we would be certain to mark the date on those packages when we put them into your freezer. Yet when we buy meat or fish in the market, we have no idea how long the animal has been dead. I read recently that the US is sending chicken overseas for processing and then back to the US to sell for food. If we return to our example and imagine taking that fish from our freezer, shipping it to China, then back to the US, then by the time it returned to your freezer in the US, would you eat it after that long journey? Personally if I’m going to eat something that’s dead, I want to know how long it’s been dead and hanging around. Ew! Financially and physically diseases of lifestyle can be devastating not only for the individual but for their loved ones as well. 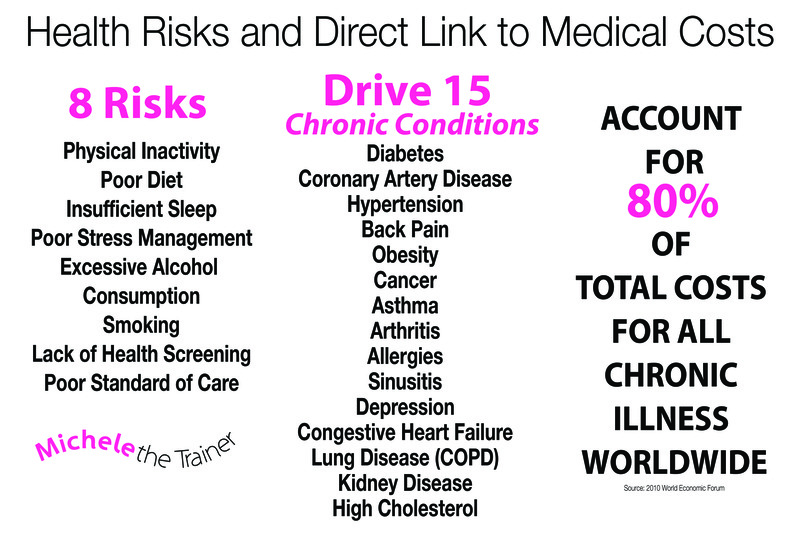 Diseases of lifestyle are diseases that can be avoided/prevented by changing our lifestyle. Let’s look at some of the latest research. Also let’s not forget that obesity can play a role in cancer risk and that red meat contains animal fat and cholesterol, which can contribute to obesity. Diabetes and the complication from diabetes can cause a person to lose their eyesight, toes and limbs. You can try participating on Meat Free Monday. You can watch the movies Vegucated, Forks over Knives or Earthlings (graphic) for inspiration and education. You can join HappyCow.net, a global directory for veg* food, stores and restaurants. You can use my cookbooks and I have some great free recipes online. I don’t eat meat too often but can’t quit it completely. Besides if you look at just about ANYTHING through a microscope, guess what you’d see. I mean anything including veggies. Or the door handle you just touched. Or your car. The world isn’t sterile. hey. I got this information years ago and I am have been red meat free for about 15 years and I feel great. Keep pushing for better health and good eating habits. hey. Thanks for taking the time to view my Blog, dragthepen.worpress.com. Thsi posting just supports what I was told about armful effects of red meat and it connection to the cause of many diseases. I am happy to announce that I am free from red meat for more than 15 years. I am 51 years old and I feel great. Keep pushing for better health and eating habits. What an impressive post. I became a vegetarian decades ago, primarily because I like my animals on-the-hoof, but after reading this, I am extra glad I made that choice. Thank you jwuollife…on-the-hoof is a sweet phrase! I’ve been a vegetarian since 1969 (a junior in high school). I’ve never once had the desire to eat an animal. Swabby429 That’s a long time, BRAVO! I would love to hear about the veg choices in the 70’s…you can email me at michele@michelethetrainer.com and maybe we can write a post about that. 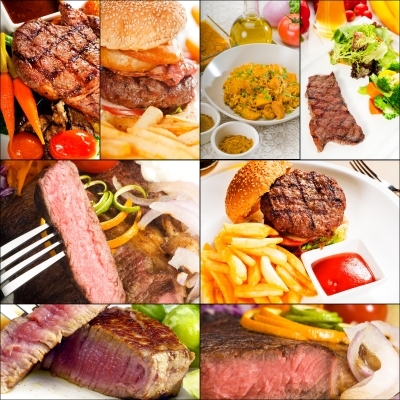 What is a safe way to cut red meat out of your system? I seem to keep making myself sick, probably shocking my system when I try to stop cold turkey. VDek please see a doctor if you are sick. I would recommend journaling what you are eating instead of meat. I created Michele the Trainer’s Success Journal (available on Amazon)and you can share your tracking with your doctor as well. Awesome information here. I also was a vegetarian for 15 years, and my husband became a vegetarian then vegan. One year after him I was ready– and I have no idea what took me so long. I love my diet. 🙂 I am happy you found one of my blogs and glad to have found you as a result. 🙂 Looking forward to reading more. Reblogged this on Chyna Star. Excellent choice. Cheers to your health! Thanks for the repost! Please send me your contact info, thanks! Thanks Anchor…glad to have you here. I’m extremely moved by this post! Thank you and thank you for the reblog.